Entertaining serveware for casual but stylish tables. This serving set consists of 3 bowls, when put together they form the shape of a fish. A great gift idea that will add to your table. This bowl is perfect for side dishes, snacks and more. Featuring a contrasting color rim and relief pattern interior. 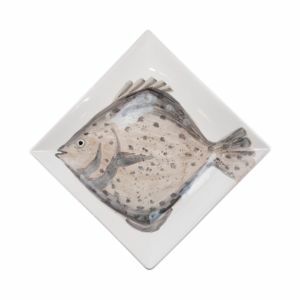 Beautiful oversized serving bowl in fish design is perfect for sea foods, salad, snacks and more. Featuring contrasting color rim and relief pattern interior. This serving set consists of 3 bowls, when put together they form the shape of a fish. A great gift idea that will add to your table. This bowl is perfect for side dishes, snacks and more. Featuring a contrasting color rim and relief pattern interior. Handcrafted glass carafe. Handcrafted glass cake plate. Handcrafted glass carafe. Food safe. Hand wash. Made in Italy of domestic materials. Serve up a delectable assortment of snacks in a most cheerful way with the vibrant-pink tone and charming flamingo-look handle of the Floridian 3-d Flamingo 3-Section Server from Certified International. Stainless steel with brass finish; agate Made from durable and easy-to-clean melamine, these colorful trays are perfectly suited for picnics, barbecues, and casual dining al fresco. 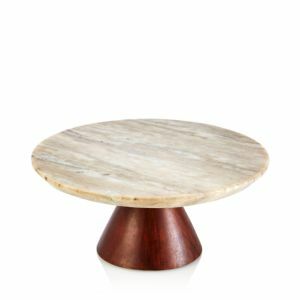 Crafted from swirling agate and marble with gleaming brass-finished handles, this luxurious piece elevates your charcuterie or cheese assortment - and is a must-have for any discerning hostess. Stainless steel with brass finish Crafted with a subtly textured border and shimmering copper accents, this cheese board brings just a touch of boho flair to your tablescape. Melbourne-based illustrator Sarah Hankinson pairs the fluid energy of watercolor with meticulous linework to portray the dualities of control and impulse, form and silhouette. Skillfully balancing shade and light, she creates striking illustrations that show a harmonious combination of both traditional and modern techniques. 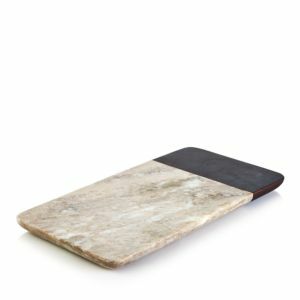 The Pinehurst 2-pc Wood and Marble Cutting Board set will be a dramatic addition to your kitchen and table. Make a spectacular display of cheeses, breads, fruits or other appetizers or desserts to your friends and family. They are handsome enough to be display pieces. Hand Wash and Wipe Dry. Handcrafted ceramic serveware. Dishwasher safe. A showpiece, as well as a serving piece, the Vietri Mosaico Blu scalloped serving bowl features white stoneware handpainted with soft sapphire blue details in a contemporary motif inspired by chips from ancient Italian mosaics. Handmade Fish design in a neutral color palette. Dimensions: 14.5"L x 14.5"W. Terra cotta. Dishwasher safe. Made in Italy Decaled melamine. 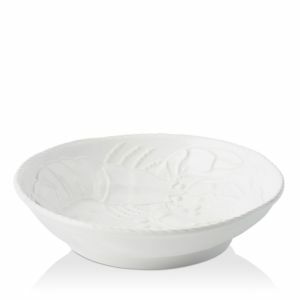 Dishwasher safe Concentric layers of tonal glaze give Lucky Brand's Blue Wash vegetable bowl a free-spirited look ideal for your casual tablescape. Inspired by Ellen's love of artisanal, yet simple designs, Ed crafted by Royal Doulton encourages everyone to embrace their own style and express their individuality throughout all parts of life. Bringing Ellen's personality to life, the Signature Mixed Set is inspired by Ellen's favorite textile print and features her Love signature. Using a combination of prints and a neutral color palette, this set of four Mugs is perfect for enjoying coffee, tea or desserts with loved ones. Handcrafted cake stand. Polished aluminum and granite. Inspired by Ellen's love of artisanal, yet simple designs, Ed crafted by Royal Doulton encourages everyone to embrace their own style and express their individuality throughout all parts of life. Bringing Ellen's personality to life, the Signature Mixed Set is inspired by Ellen's favorite textile print and features her Love signature. Using a combination of prints and a neutral color palette, this set of four 8" Plates is both decorative and functional. Ideal for serving salads and sides to desserts, this set perfectly accents any dinnerware or can be used on its own. Handcrafted bowl. Hand textured stainless steel. Handcrafted tray of hand-painted iron. Handcrafted nut dish of hand-textured stainless steel. Oxidized and nickel-plate details. Combining the designs of the Pompeii Blu Sea, Land and Sky collections, Crafted by Wainwright delivers four fresh takes on stylish stoneware in this canapé plate set. Stoneware. Dishwasher and microwave safe Bold cobalt splashes and gold-tone glimmers stylishly trim the inner and outer rims of the Crafted by Wainwright Pompeii Blu Sea large serving bowl. Dark wood creates a rustic-chic juxtaposition with elegant marble in this distinctive Hudson Park collection, a timeless way to bring dimension and eye-catching style to the table. Serpentinite rock, clay Dark wood creates a rustic-chic juxtaposition with elegant marble in this distinctive Hudson Park collection, a timeless way to bring dimension and eye-catching style to the table. Make a whale-sized splash with this sea-inspired piece. Ideal for small edibles, keepsakes and dried fragrants. Food safe and easy to care for. A durable nickel finish resists turning, tarnishing, pitting and scratching. Make a splash with this sea-inspired collection featuring lifelike aquatic creatures. Food safe and easy to care for. A durable nickel finish resists turning, tarnishing, pitting and scratching. Divided server with octopus detail. Nickel-plated cast aluminum. Tray featuring octopus detail. Nickel-plated cast aluminum. Starfish motifs with painterly flair float atop durable versatile melamine in the Q Squared Captiva appetizer plate set that's party-ready and perfect for outdoor or indoor events. Fitz and Floyd's Cape Coral Entertaining Collection brings a cool, coastal vibe to your dinner parties with ocean-inspired designs and styling. Handcrafted cheese board and spreader. Marble and antiqued gold-tone metal. Handcrafted cheese board and knife. Made of marble, antiqued gold-tone metal, and stainless steel. Handcrafted cracker plate. Antiqued gold-tone metal. Handcrafted nut bowl. Made of stainless steel and antiqued gold-tone metal.